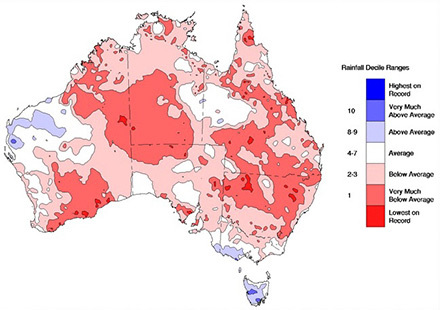 With many areas of Australia facing severe drought - some the worst in 400 years* - great importance is being placed on water pipeline construction, maintenance and elimination of leakages over local, regional and far-reaching networks. The Australian government has acknowledged the scale of the challenge with a $12.9 million Water for the Future plan focussed on more efficient water infrastructure and refurbishment of older pipes and systems. Such initiatives are seeing the arrival of new technologies to assist in the process of preventing, locating and repairing water losses by public and private water authorities, agribusiness irrigators, and engineers and operators in water-dependent industries, including food, beverage and mining. One such technology from Air Springs Supply Pty Ltd is a new range of OPL and OPLT pipe plugs for easy portability and perfect sealing of water pipelines, as well as sewage, hydrocarbon and chemical process pipelines that can leak into the environment. These proven products are used where sections of pipeline need to be effectively and safely sealed for maintenance and leak testing. Rather than installing valves to shut down sections of pipelines, the stoppers are introduced and inflated to stop pipe flow during maintenance or to seal newly installed pipes for air-tightness tests. Available with or without bypass as required, they are designed to make the job swifter and safer for use in a wide variety of pipes, including steel, plastic and concrete, over diameters ranging from 30mm up to 2000mm, with just four plug sizes covering the 100-2000mm range. Weighing from 200g to 145kg for the biggest model with bypass - the plugs are easily transported to infrastructure, maintenance and construction sites, says Pronal Sales and Marketing Manager, Mr James Maslin. Pronal is one of the world's most experienced and respected producers of flexible products used to lift, push, press, seal and store. Founded in 1961 and headquartered near Lille in the north of France, PRONAL builds standard and customised flexible products from fabrics coated with elastomer and/or plastomer. In addition to extensive industrial expertise, Pronal also works in the defence, aerospace, civil emergency and maritime/harbour sectors. Pronal's Australian distributor, Air Springs Supply, is Australia's leading supplier of air springs and associated pneumatic technology for the industrial and transport sectors. www.airsprings.com.au. Air Springs Supply has been selected as a finalist in the 2019 Future of Mining awards for its new range of rapidly installed Pronal inflatable pipeline stoppers. The OPL and OPLT pipe plugs were finalists in the Environmental Excellence category of the national mining awards, hosted by leading B2B publisher, Aspermont. The globally proven OPL and OPLT pipe plugs, with or without bypass as required, are designed for easy portability and perfect sealing of water, sewage, hydrocarbon and chemical process pipelines to enhanced safety and save time during common maintenance and testing tasks across a range of mining applications. 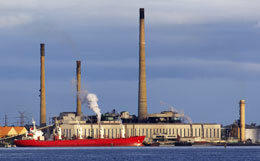 "It was rewarding to be recognised at such a major mining industry awards night. 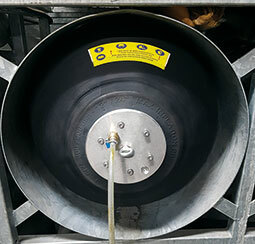 Being able to immediately plug a pipeline in emergency situations has very immediate environmental benefits," says James Maslin, Technical Product Manager for actuation, isolation and suspension specialists Air Springs Supply, which is national distributor for Pronal elastomer products through its nationwide sales and service network. "Unfortunately, we get a lot of enquiries where it’s 'too late' and the damage has been done, so the more education about preventative measures like the OPL and OPLT pipe plugs, the better - particularly in an industry like mining that’s actively working to improve its public image," said Mr Maslin. Made of high quality vulcanised rubber for enhanced quality and durability in sometimes aggressive environments, the stoppers are used by industries such as agribusiness processing, food and beverage manufacturing; mining, energy and bulk handling processes; oil and gas plants; construction and infrastructure projects; local authority water and waste water applications and process engineering procedures and safety testing. The stoppers are designed for use in a wide variety of pipes, including steel, plastic and concrete, over diameters ranging from 30mm up to 2000mm, with just four plug sizes covering the 100-2000mm range. The stoppers permit sections of pipeline to be effectively and safely isolated for maintenance and leak testing. Weighing from 200g to 145kg for the biggest model with bypass - the plugs are easily transported to remote infrastructure and construction sites, says Mr Maslin. "Rather than installing valves to shut down sections of pipelines, the stoppers are introduced and inflated to stop pipe flow during maintenance or to seal newly installed pipes for air-tightness tests," he said. OPL and OPLT stoppers are the latest additions to Air Springs Supply’s ranges of globally respected Pronal products, including lifting cushions and elastomer products used in demanding applications by major construction, infrastructure and utility industries, militaries, civil defence, emergency and recue organisations, oil and gas producers and ports. "Wherever outstanding quality and durability are required for reliability and safety, Pronal products are trusted to deliver outstanding results. 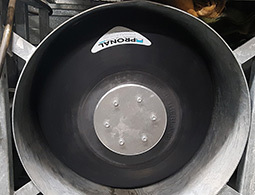 Their latest OPL and OPLT stoppers complement a comprehensive range of sealing products, including stoppers custom-engineers to prevent environmental spills," said Mr Maslin. Pronal products are based on more than 40 years of producing specialist pneumatic elastomer designs for demanding applications, including government, military, heavy industrial, emergency service, sub-sea and exploration. Australian distributor Air Springs Supply also has more than 40 years’ specialist experience in applying pneumatic actuation and isolation technologies. 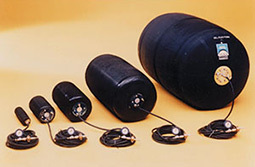 Information about Pronal products can be obtained through the Pronal website of Air Springs Supply Pty Ltd, www.pronal.com.au. Air Springs Supply’s complementary website, www.airsprings.com.au is one of Australia’s most comprehensive guides to pneumatic actuation, isolation and suspension. For more information about Air Springs Supply’s ranges, national distribution and technical support network, please contact Air Springs Supply Pty Ltd, Unit 18, 38-46 South Street, Rydalmere, Sydney 2116, ph (02) 8877 5500, fax (02) 9807 6979, sales@airsprings.com.au. Pronal OLPT stoppers - optional accessories include single or double bypass for pipe testing and dewatering, handling wire, inflation line, remote inflation/deflation device and air/water exchange system.